Today the Government agreed to reinstate legal aid for separated and unaccompanied children in immigration cases. This is the result of a five-year legal challenge and campaign led by The Children’s Society, with Islington Law Centre, Brick Court Chambers and Doughty Street Chambers and partners in civil society. 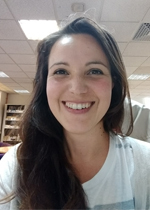 In her guest blog, Ilona Pinter, Policy and Research Manager at The Children’s Society, explains the vital impact of this decision. Without legal aid vulnerable children have been left on their own, struggling to pay for the legal advice they desperately need to make their lives more stable. But today, the Government has published a statement in parliament confirming that they will bring legal aid back into scope for separated and unaccompanied children in their immigration cases. This is brilliant news and an important change that will go a long way to protecting some of the most marginalised and disadvantaged children in our communities. We commend the Government on accepting that these young people should be entitled to legal aid and we will work with them to implement changes made as quickly as possible. Our five year-long legal challenge and campaign in collaboration with Islington Law Centre, Brick Court Chambers and Doughty Street Chambers and other civil society organisations, has helped to bring about this change. Our ‘Cut Off From Justice’ research estimates that thousands of vulnerable children have been denied legal aid since new legislation came into force in 2013 which, in effect, restricted the right to this support to asylum claims. Only a tiny fraction of children’s cases have been able to access legal aid through the so-called ‘safety net’ of Exceptional Case Funding. But as our research and experience from services demonstrate, legal aid is a vital lifeline in ensuring these children can access justice. 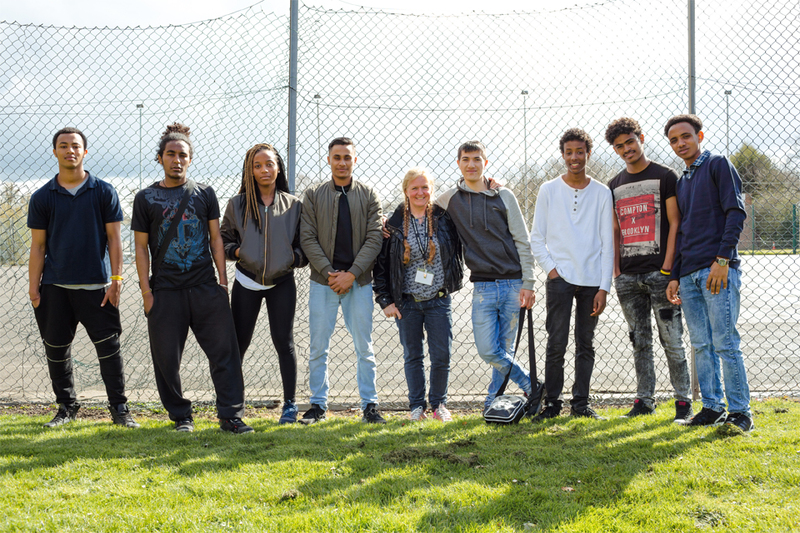 A group of young refugees and migrants with a project worker at a Children’s Society service. Photo: Laura McCluskey for The Children’s Society. Without legal aid vulnerable children are struggling to pay for the expert legal advice they desperately need which can cost thousands of pounds – on top of expensive Home Office administration fees, which have also increased enormously. Some of the young people we spoke to for our research faced sexual and criminal exploitation or worked in dodgy jobs for little pay just to raise money to pay their legal fees. Many children’s cases were ‘sat on’ or avoided altogether, leaving them locked in legal limbo, unable to regularise or settle their status, facing destitution or forced removal from the country they grew up in and that they call home. In fact, many of the young people affected by cuts to legal aid and Home Office fees will be those from commonwealth countries like Jamaica and Nigeria who moved here with their families at a very young age or were born here and ended up in the care of local authorities. Some children may have been sent here to live with relatives and friends within established communities including those who came here as part of the Windrush generation. And, just last week, the Home Affairs Select Committee raised their concerns about legal aid for migrant children as part of their inquiry on the Windrush scandal saying that ‘the case for reintroducing legal aid for children is most pressing’. At The Children’s Society, we strongly believe that all children and young people in the UK should be kept safe and have equal access to justice, regardless of where they were born or who their parents are. Although there is still much more to do to make sure that no child or young person is trapped in destitution and legal limbo, today’s announcement is a good outcome and we are pleased that the Government has listened. Sign up to be a campaigner with us and you can make sure that you are part of changing children and young people’s lives. Ilona Pinter is the Policy and Research Manager leading The Children’s Society’s policy, research and influencing work on child poverty and inequality including its work on destitution and children’s rights as well as oversight of its immigration, asylum and trafficking policy and research portfolio. She is a longstanding co-chair of the Refugee and Migrant Children’s Consortium and advises a range of NGOs, funders, government officials and academics on related policy and research areas. Follow Ilona on Tiwtter at @ilonapin.